Where Can I Sell Antique and Vintage Jewelry? 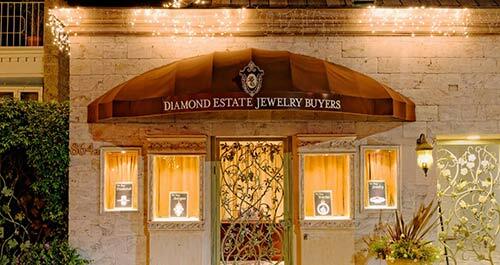 Learn why sellers nationwide choose Diamond Estate as the best place to sell vintage and antique jewelry. To sell antique jewelry now, contact us for a free cash quote. Diamond Estate is a boutique jewelry buyer — that is, we only purchase certain fine jewelry, diamonds, and precious gemstones. 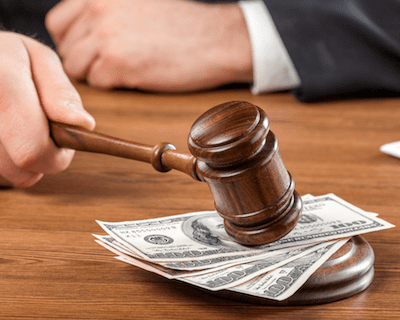 Unlike a gold buyer, pawn shop, or online jewelry auction, we generally buy only those items which were originally purchased for over $5,000. By focusing exclusively on large precious gemstones and high-value fine jewelry, we are better able to develop industry relationships and resale channels that allow us to pay you more than any other jewelry buyer. But how does our exclusivity apply to those who wish to sell vintage jewelry or sell antique jewelry? A lot of inflation has occurred the past 50 years, not to mention the last 100 years. So, obviously the minimum $5,000 retail tag doesn’t apply to most vintage and antique jewelry that we purchase. In the world of vintage & antique jewelry, there are celebrated names that may be unknown to you but are very valuable. Instead, the rule of thumb here is the designer or jewelry company that manufactured the piece — the exception being those items set with a large carat (high quality) diamond, emerald, ruby, or sapphire. We buy vintage and antique jewelry primarily from the most celebrated fine jewelry makers. For example, you can contact us to sell a vintage Tiffany ring, sell an antique Cartier necklace, sell vintage Van Cleef & Arpels earrings, or sell an antique Rolex watch. You likely are familiar with all those luxury makers. However, there are other celebrated names in the world of vintage and antique jewelry which may be unknown to you — but which can provide a high cash payout. 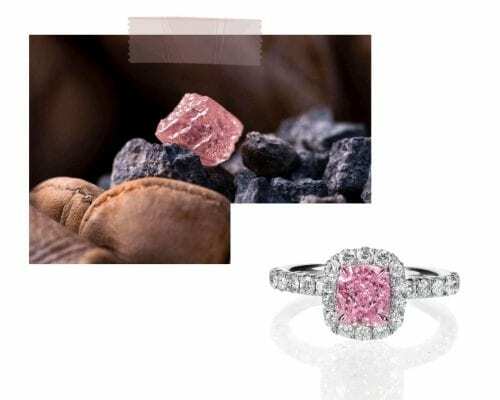 In the material below, we provide some useful information about a few of the designers and companies whose jewelry remains sought-after today. 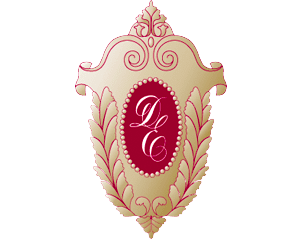 If you are unsure who made your item (or if it is one which we would purchase), you can still contact Diamond Estate for a free consultation. We are here to help. 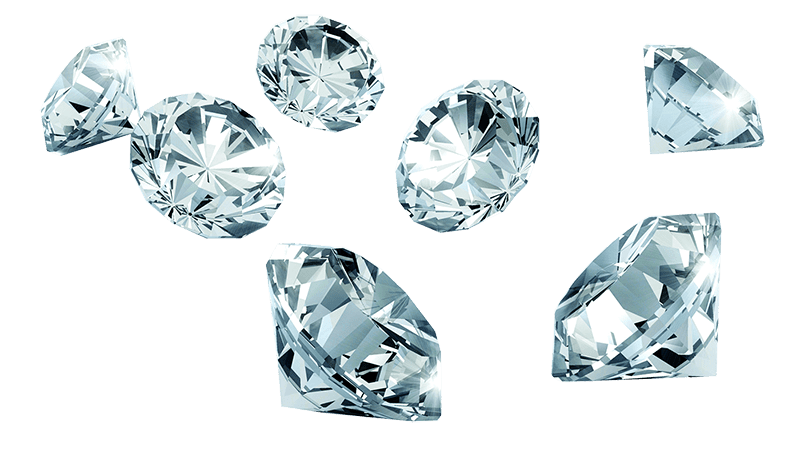 As an A+ BBB rated jewelry buyer with thousands of satisfied clients nationwide, you can rely on Diamond Estate to give you an accurate assessment of your fine jewelry, as well as the highest cash offer possible. Contact us now to discover why people choose us as the best place to sell vintage jewelry, sell antique jewelry, and sell large diamonds. Marcus and Company is primarily known for its jewelry of the early 20th century. The firm achieved great success with its meticulous attention to detail, and their uniquely American take on the flowing lines of the period are still regarded as the best examples of American Art Nouveau jewelry. By the time German immigrant Herman Marcus founded Marcus and Co. in 1892, his name was already well-known and respected by the New York jewelry community. His early years had been spent at various jewelry houses, including work as a designer for Tiffany, where he was steeped in European trends. 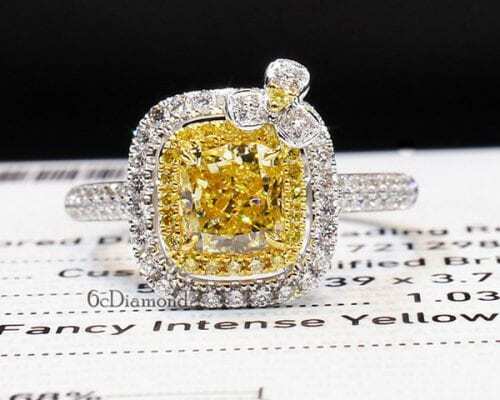 The firm’s belief in the value of colored gemstones helped set them apart from the all-white diamond look of the time. They designed colorful pieces featuring zircons, chrysoberyls, tourmalines, opals, and garnets. Marcus & Co. became famous for their fine plique-a-jour enameling, which their crafstmen learned at the Lalique studio in Paris. 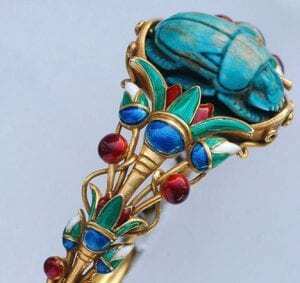 At the beginning of the 20th century Marcus & Co. produced Renaissance and Egyptian revival jewelry, but they became widely known for their fine plique-a-jour enameling — a technique their jewelers learned at the Lalique workshop in Paris. One outstanding example is the Art Nouveau-inspired morning glory brooch owned by actress Ada Rehan. Exhibiting meticulous attention to detail, fine metal work is filled with translucent enamel, and the stunning piece can be viewed from all sides, just as one would view flowers in a garden. Combining brightly colored enamel with precious and semi-precious stones, Marcus & Co. created an unmistakable look — one that seems to be making a comeback of sorts. Art Nouveau and Art Deco necklaces and brooches created by Marcus & Co. have recently sold at auction substantially above pre-auction estimates. 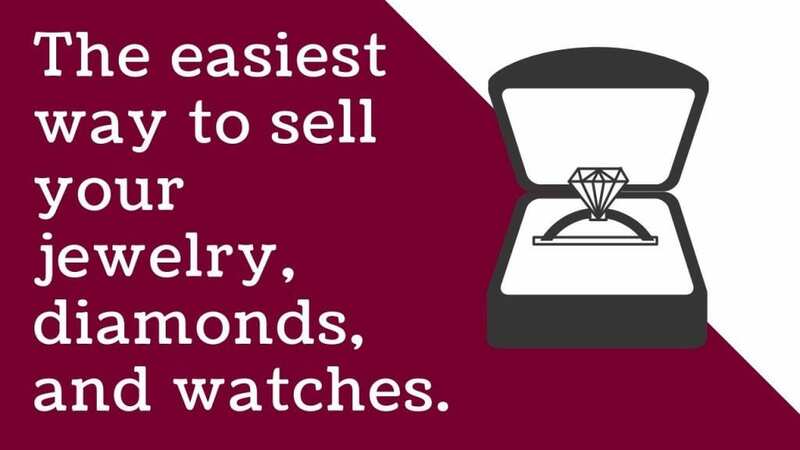 However, if you wish to sell antique jewelry by Marcus & Co. via an auction, contact Diamond Estate first to learn the pros and cons of selling your item at auction versus directly to us. Raymond C. Yard’s jewelry is characterized by attention to high quality gemstones and intricate platinum settings. His fine jewelry took on a style of its own, and his work during the Art Deco period, including his ability to rebuild jewelry into new pieces, helped define the period. Yard began his career at the age of thirteen when he was employed as a messenger boy at the jewelry house of Marcus & Co. in New York. Having learned all aspects of the industry while rising through the ranks at Marcus, the young salesman secured the patronage of John D. Rockefeller Jr. and opened his own shop on Fifth Avenue in 1922. Yard’s first solo commission was the Rockefeller wedding, and soon other New York elites became devoted clients, including the Woolworth and DuPont families, as well as movie icons Joan Crawford and Douglas Fairbanks. Raymond Yard’s famous clients included the Rockefellers, Woolworths, and Duponts, as well as Hollywood icons Joan Crawford and Douglas Fairbanks. Yard’s work featured formal, traditional designs, using only the most perfect stones available. Though his work often followed the design motifs of the time, his extensive use of mixed cut and single cut diamonds in the same piece became a kind of signature — his pieces aimed for an overall luminescence rather that the sharp brilliance of a single highlighted stone. Raymond Yard’s creations included everything from platinum-mounted diamond rings to Art Deco brooches, rings, bracelets, and even “up lobe” earrings that curved up the contour of the ear. Perhaps Yard’s most famous creations are his whimsical Rabbit Brooches. 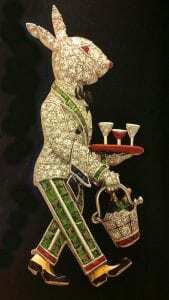 The famous Rabbit Waiter, composed of pavé diamonds with enamel highlights, is dressed in coat and tie, complete with cocktail shaker, glasses and champagne bottles. Sell antique jewelry from Raymond Yard now. Contact Diamond Estate for a free verbal market appraisal. Oscar Heyman is known, quite simply, as a jeweler’s jeweler. So strong is their reputation for excellence and craftsmanship that, while largely unknown to most of the jewelry buying public, their talents have been regularly employed by top jewelers worldwide, including Cartier, Tiffany & Co., and Van Cleef and Arpels. In 1906, Oscar and his brother Nathan arrived in New York from Europe with skills they acquired at their uncle’s Fabergé workshop, including the ability to work with platinum — a rarity at that time. Oscar was immediately hired at Cartier’s first workshop in New York, and when the rest of his family arrived in 1912, the brothers opened their own studio. 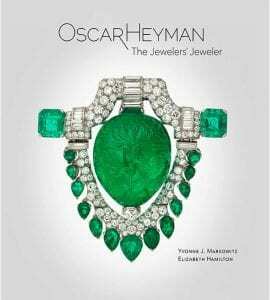 Oscar Heyman is known for the quality of its gemstones and the ingenious design of their settings, and was reputedly the first to perfect the ‘invisible setting’ introduced to the United States by Van Cleef and Arpels in 1936. Oscar Heyman created the setting for the famous Taylor-Burton diamond for Cartier. The firm is also known for its floral-motif pieces, including a collection of orchid, pansy, and gardenia brooches that won gold medals at the 1949 World’s Fair. Among many important commissions secured by Heyman was the design and setting for the famous Taylor-Burton diamond for Cartier. The house of Oscar Heyman is unique in its production: everything is performed in house, and the house is still a family-run business. Their group of craftspeople includes jewelers, setters, engravers, polishers, and lapidaries. They maintain their own tool and die shop, alloy their own metals, and cut and polish each gemstone that passes through their studio. Their workshop even creates their own tools, and holds numerous patents for manufacturing processes. 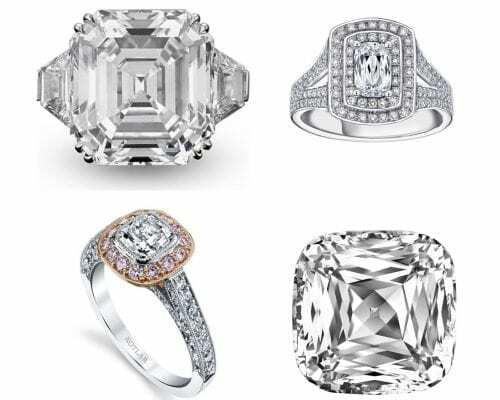 Diamond Estate purchases many items from Oscar Heyman, including ruby rings, emerald necklaces, sapphire rings, and more. Sell vintage jewelry from Oscar Heyman quickly and confidently by contacting Diamond Estate now. Boucheron has been one of the most respected makers of fine jewelry and watches in Paris for over 150 years. As the first jeweler to reside on the iconic Place Vendôme, Boucheron has continued to set jewelry trends worldwide, emphasizing extraordinary stones — both precious and semi-precious. 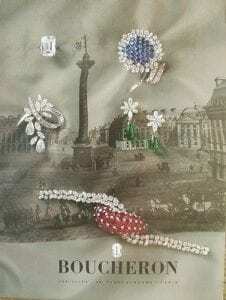 Founded by Frédéric Boucheron in 1858, Boucheron’s early pieces were very ornate, and included designs with flowery garlands, knots, and intertwining ribbons. His work with enamels was groundbreaking, and Boucheron was one of the first designers to combine precious stones and metals with corals, onyx, and a variety of colored stones. His experiments with diamond engraving led to the “nature” style of the Art Nouveau movement and featured snakes, dragonflies, and butterflies. Boucheron’s experiments with diamond engraving led to the “nature” style of the Art Nouveau movement. Frédéric’s son Louis continued to produce provocative designs with fine quality stones, including some Art Deco masterpieces. Innovations of the house have included techniques such as the mirror setting, mosaic setting, the patented invisible clasp system, as well as table and baguette cuts. Boucheron has produced watches since 1859, when it offered a collection of delicately sculpted pocket watches. Their first wristwatches appeared in 1885, some of the first of their kind. 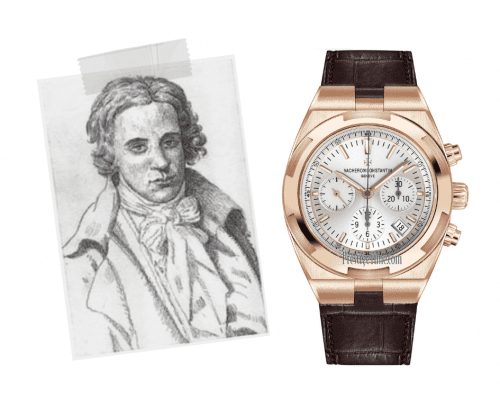 Eventually Boucheron watches were the first to feature interchangeable wristbands. Their iconic Reflet, a watch with a rectangular, gadrooned case, was first produced in 1947 but lives on today thanks to a recent re-design. The House of Boucheron was purchased by the Gucci Group in 2000. Though the house produces a wide variety of more affordable pieces today, Boucheron is still one of the most influential jewelry houses in France, and its vintage pieces remain highly sought after. Sell vintage jewelry by Boucheron with no hidden fees and a completely transparent sales process that explains exactly how we arrive at your cash offer. Seaman Schepps was an American jeweler of the twentieth century known mostly for his Retro style pieces and 1950s style. His work included eclectic color combinations and exotic materials in styles that captured the imagination of everyone from the Duchess of Windsor to Andy Warhol. Born to immigrants in New York’s Lower East Side in 1881, Schepps spent his youth in New York, and later traveled widely, inspired by French fashion and exotic materials from the Far East. After losing his business after the crash in 1929, Schepps rebuilt his firm based on bold designs and a daring mix of materials. While his ideas were not necessarily new (similar jewelry had been produced since the 1920s) Schepps’ pieces were noteworthy for mixing diamonds with man-made materials, and he favored large, chunky pieces with colored stones and irregular cuts. Hard stones like jade, turquoise, and lapis were paired with softly colored gemstones like sapphires, emeralds, yellow topaz, and pale pink quartz. 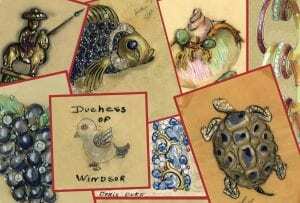 Seaman Schepps also produced sculptured brooches depicting animals and sea life, as well as large scale curb-link bracelets made of hand-carved ebony, coral, and turquoise. Since the death of Seaman Schepps in 1972, appreciation for his work has grown. His daughter Patricia ran the firm until she sold it in 1992. Fine jewelry in the Schepps style is still produced today at the firm’s 58th street shop in New York. Would you like to sell a vintage Seaman Schepps bracelet, ring, brooch, or earrings? 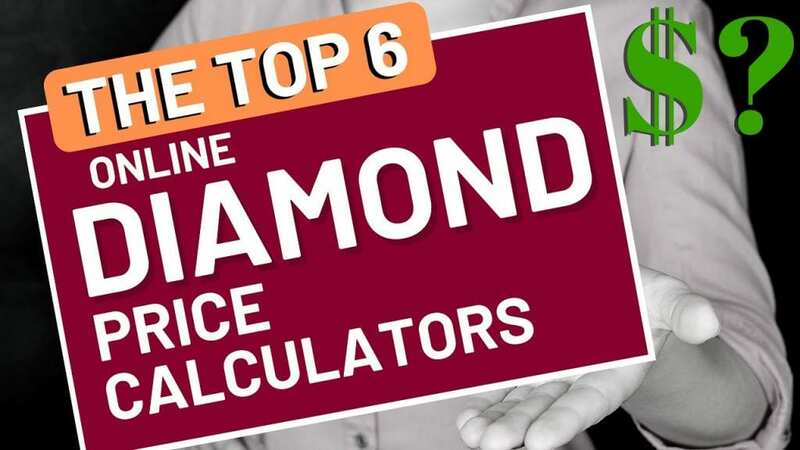 Let Diamond Estate provide you with a free consultation today. 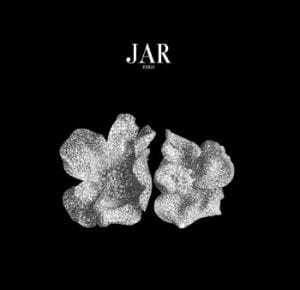 Joel Arthur Rosenthal is a famously reclusive jewelry designer, known by the world simply as JAR. Born to a biology teacher and postal worker in the Bronx, JAR spent his early years in New York, frequenting museums and cultivating a passion for art and history. After graduating from Harvard in 1966, he moved to Paris where he met Pierre Jeannet. The two opened a needlepoint shop, where Rosenthal experimented with colored wool on white canvas, refining an aesthetic of color compatibility that would later define his jewelry. After a brief time back in New York working for Bulgari, Rosenthal returned to Paris in 1978 and started his own jewelry business with Jeannet, under his initials, JAR. 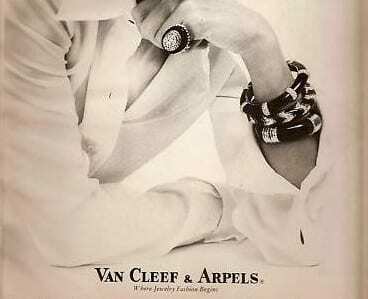 Fashion designer Diane von Furstenberg has called Joel Arthur Rosenthal “the Fabergé of our time”. JAR’s jewelry features not only complementary and contrasting colored stones, but also a wide variety of metals, including silver that is blackened to highlight the color of stones and the brilliance of diamonds. His work often takes the form of brooches, and recurring themes include flowers and butterflies, capturing nature in three dimensions. His pieces also feature gems in his signature pavé settings — as fine as the needlepoint he once produced. Diamond Estate is one of the few jewelry buyers in the country who can be relied upon to make generous cash offers for estate jewelry created by JAR, due to the exclusivity of his pieces and the need for a carefully developed resale network that caters to extraordinary jewels. Please call or send us a message about the JAR jewelry you wish to sell, and one of our estate jewelry experts will contact you within 24 hours (weekdays) to discuss the item in further detail. Where to Get an Antique Jewelry Appraisal? 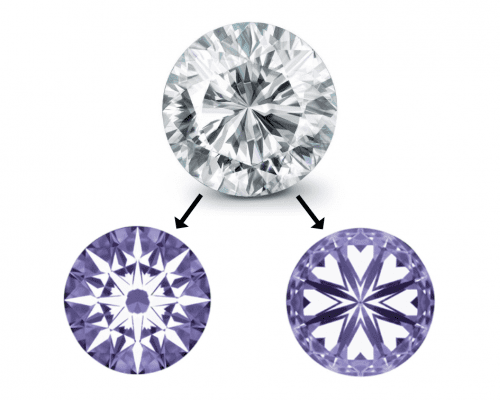 There are two ways to obtain an antique jewelry appraisal. You could contact an independent certified appraiser who is affiliated with an organization such as the Appraisers Association of America, the American Society of Appraisers, or the International Society of Appraisers. This kind of appraisal can cost a fair amount of money. Also keep in mind that this antique jewelry appraisal is more of an art than a science — with a heavy degree of subjectivity involved. The second way to obtain an antique jewelry appraisal is with an established jewelry buyer such as Diamond Estate, who is registered with the Better Business Bureau and has an A+ rating. We are confident that you’ll find Diamond Estate’s antique jewelry appraisals & cash offers the highest in the industry. This is a free verbal appraisal that will give you a good idea of the worth of your item on the resale market (that is, what a reputable buyer should be will to pay you for your item). To feel confident that the antique jewelry appraisal is accurate (and highest), you may contact several jewelry buyers, obtaining a verbal appraisal from each one. 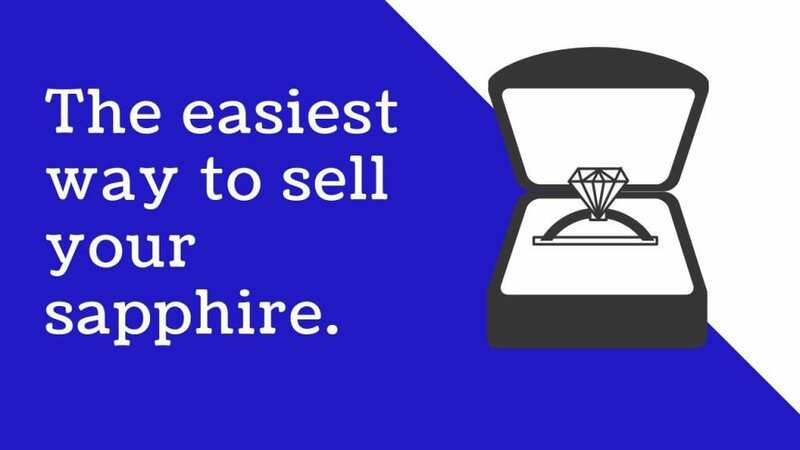 Then you can use that information to sell your antique jewelry to the highest paying buyer. Having helped hundreds of clients sell antique jewelry for top dollar, we are confident that you’ll find Diamond Estate’s antique jewelry appraisals to be the highest in the industry, and our sales process the most informative and friendly. Contact our antique jewelry appraisers today for your free market appraisal and an immediate cash offer.